I know, I know, it’s only been a couple of months since I last shared my budget beauty picks with you, but I just felt the need to do another because some seriously fab pieces have popped up on my radar recently, and also some products which I featured in my last post are proving pretty hard to beat. 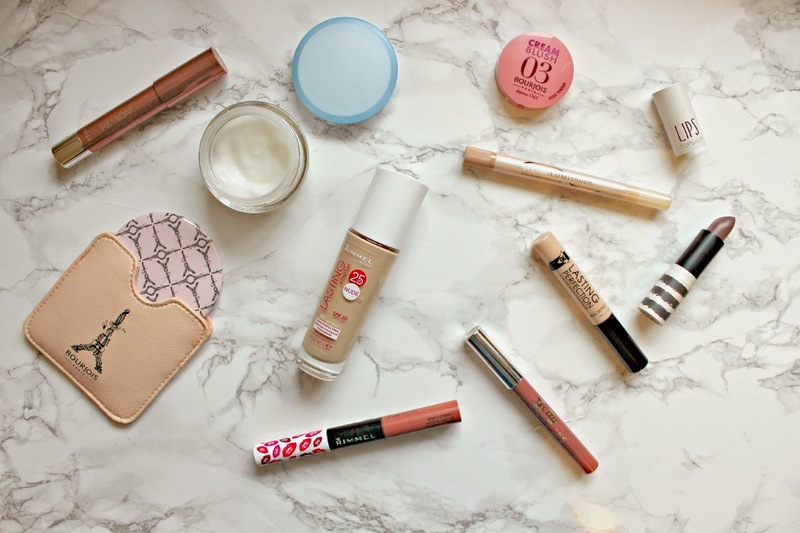 Firstly, so many great lip products. I’m still loving this muted pink, almost mauve shade and three products in particular are really floating my boat at the moment. The most subtle of which is the Barry M Gelly Lips which offers high sheen from a crayon formula which just totally blows my mind. How is that even possible??!! It doesn’t dry out but it isn’t the most long lasting, so pop one in your purse for regular top ups. Another fab pencil is the Revlon ColorBurst Lacquer balm which is very similar to the Barry M, just a slightly different shade, and more shimmery than glossy. Equally fab. My favourite of the pinky lip shades though is still the Rimmel Provocalips Lip Colour. It beats my Chanel in terms of lasting power and I can put it on before I head off to work, and it will still be there after lunch with no need to top up the colour. It’s a bit of a pain to remove, but so worth it, and I absolutely adore the shade. A slightly different lip shade is the Topshop Lipstick in the shade Innocent. It has a slightly purpley hue to it and the thing I love most is how moisturising I find the formula. The Nivea Express Hydration Primer is a product which somehow got pushed to the back of my beauty drawer, but I’ve recently fallen in love with it all over again! Ideal for this time of year when you want a lighter base and less product, it moisturises and primes in an instant so no waiting around for your lotions and potions to sink in. It’s not expensive at all and you can pick it up in the Boots 3 for 2 deals. Next, and still a favourite since my January Budget Beauty faves is the Rimmel Lasting Finish Foundation. At first I loved it because it really does stay put, but since wearing it with the Nivea Primer I have just been getting so many compliments on my skin! A few friends even asked if I had airbrushed some of my pictures on a recent evening out, nope! It was just this fabulous foundation! I’ve been mixing and matching between the Collection concealer which is a beauty blogger absolute favourite, for covering up any darkness under my eyes, and the Maybelline Dream Lumi Touch highlighting concealer which is a really great dupe of the YSL Touche Eclat. Finally, two cute goodies from Bourjois; this pretty pink mirror in a little sleeve which I adore for popping in my clutch bag, and also their new Cream Blush which is such a dream to blend, and gives a pretty pink glow to cheeks without the drying effect of some powder blush formulas. It gives a long lasting glow and I find their colour range is really super. What are your current budget beauty picks? Previous Post Whats In My Handbag?